Your friend in the backwards hat is right so listen up. Its 2015 and your collection of all black or (off)white socks, many of them with holes, just isn’t going to cut it. The solution: Sock of the Month Club. This Texas based company helps you makeover your foot focused wardrobe one pair at a time. The monthly deliveries will allow you to slowly transition away from boring to cool without the system shock that might come if you jumped in headfirst (trust me, you’re not ready). More importantly than the ego-stroking sounds of ladies cooing at your colorfully adorned ankles is the fact that Sock of the Month Club does things the right way. 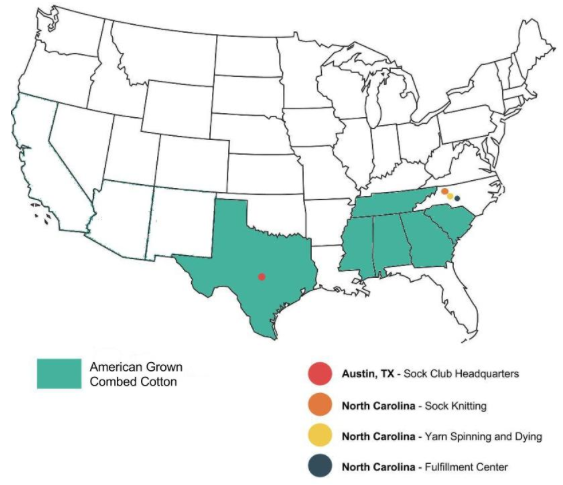 All cotton is locally sourced from the American south and then spun, dyed and knit in North Carolina. This provides the owners with oversight to ensure workers are properly paid and that the product is always high quality and eco-friendly.